This year has truly been a historic one for sports in the city of Cleveland. Stipe Miocic started it off by capturing the UFC Heavyweight title on May 14. The Lake Erie Monsters kept the ball rolling by winning the Cleveland’s first Calder Cup title since 1964. And of course, the Cavaliers brought home the city’s first professional sports championship in 52 years by overcoming a 3-1 deficit to the Golden State Warriors in the NBA Finals. The Indians joined in on the fun by moving into first place in the AL Central in early June and they never looked back. 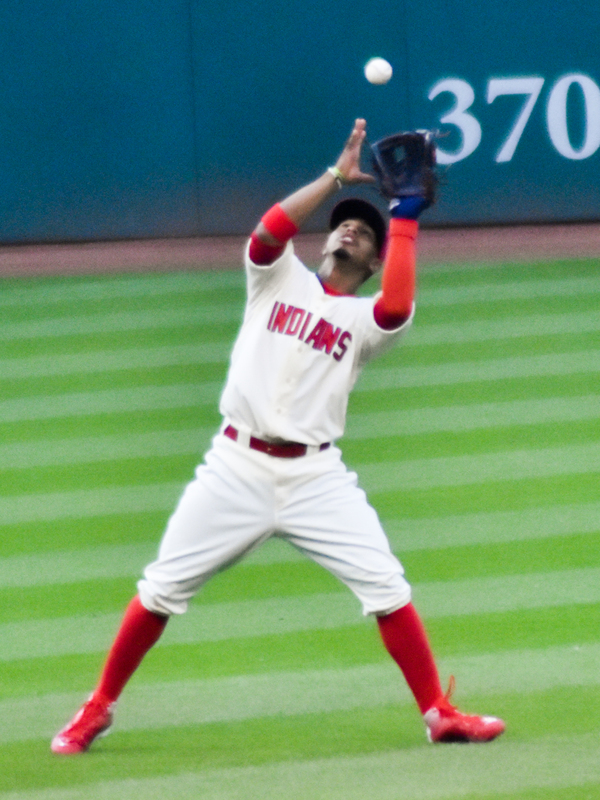 Tribe shortstop Francisco Lindor prepares to make a catch. Photo Credit-Erik Drost. The Indians squared off with the Chicago Cubs in a World Series that lived up to the hype. It was a matchup featuring the two longest championship droughts in baseball with a combined 176 years without a World Series title. It was a classic World Series that was capped by a Game 7 for the ages. The Cubs had a 5-1 lead in the 5th inning until Carlos Santana and Jason Kipnis scored on Jon Lester. The Cubs extended their lead to 6-3 in the 8th inning and were just four outs away from a world title when Aroldis Chapman entered the game. Brandon Guyer hit a RBI double to cut the Cubs lead to 6-4 with two outs in the bottom of the 8th. Rajai Davis stepped up to the plate and smacked a dramatic two-run homer to tie the game at 6. The game would go to extra innings, but not before a 17 minute rain delay stopped play after the conclusion of the ninth inning. With the heart of their lineup due up, the Cubs came out firing as Ben Zobrist hit a RBI double that broke the tie in the top of the tenth. The Cubs would tack on one more run with a RBI single from Miguel Montero. Just like all season long, the Indians proved to be a resilient group to the end. Brandon Guyer drew a two out walk in the bottom of the tenth to get on base. Rajai Davis would strike again with a RBI single to pull the Indians within one run. The Indians magic ran out as Michael Martinez grounded out to end Cleveland’s quest for their first World Series title since 1948. Despite a heartbreaking loss in Game 7 of the World Series, I have never been more proud of a Cleveland team than I am of this Indians squad. All year this team was counted out, but it never seemed to matter to them. Through the injuries to Micheal Brantley, Yan Gomes, Carlos Carrasco, Danny Salazar, and Trevor Bauer, Abraham Almonte’s 80 suspension to being the underdog in every playoff series, the Tribe overcame it all. When Terry Francona spoke to the media before Game 7, he said something that perfectly depicted the city of Cleveland and the Indians. He said “This city reminds me of our team a little bit. They got pushed around, now they’re starting to push back.” The Indians were pushed around by the Cubs in Game 6 and the same continued for the early part of Game 7 until Rajai Davis pushed back. Davis was struggling with a .121 batting average in the postseason, but he delivered in the biggest at bat of his life with his first career playoff home run. Davis and the Tribe would fight back again the tenth inning, but it wasn’t enough. This magical season didn’t end the way the Indians had hoped, but Cleveland fans should be extremely proud of their team for fighting until the very end. I always knew that Cleveland was a tough city, but if there is one thing that I have learned from this playoff run is that Clevelanders have fallen in love with baseball again. You can see it from the sold out watch parties at Progressive Field for the World Series road games or the thousands that packed Gateway plaza that went berserk when Rajai blasted his improbable homer. Indians fans have reason to be excited as the future is very bright at the Corner of Carnegie and Ontario. For starters, All-Star outfielder, Michael Brantley is expected to resume baseball activities next month and he should to be ready for spring training. Starting pitcher Carlos Carrasco will soon begin “strength work” and will start a throwing program in December. 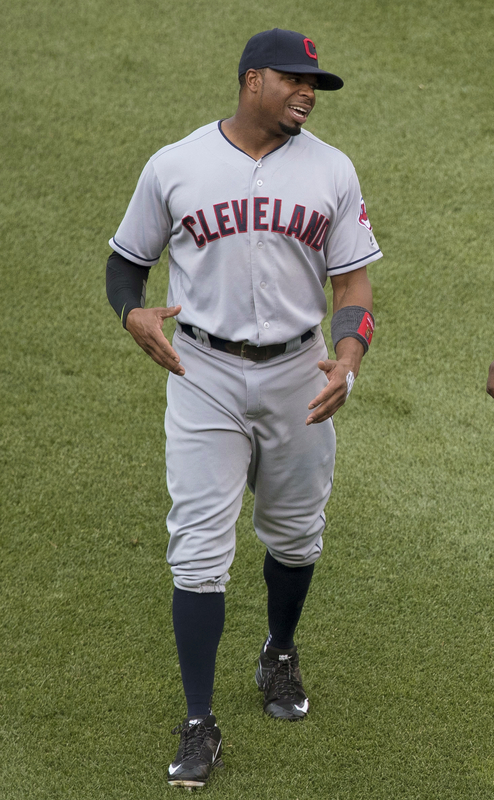 The Tribe have already picked up Carlos Santana’s $12 million option for next season as well as the 2019 and 2020 team options for manager Terry Francona. 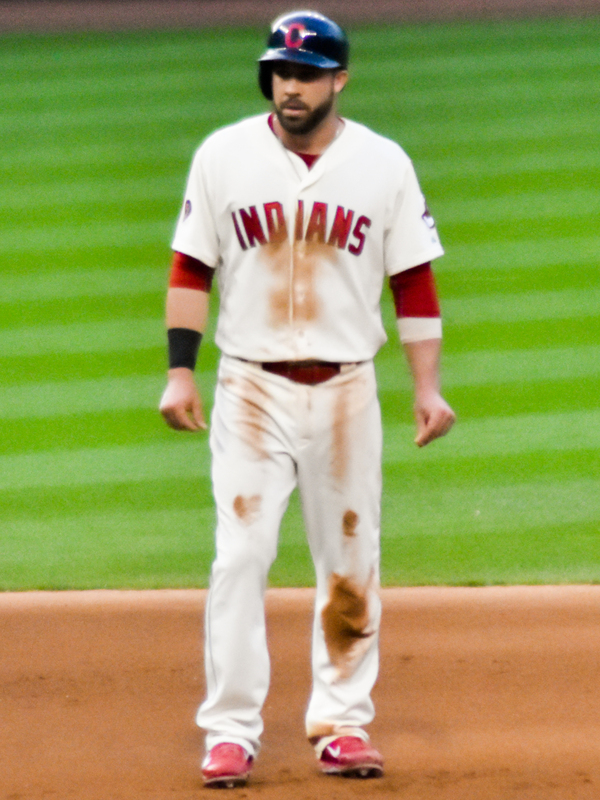 The Indians did not extend a qualifying offers to first baseman Mike Napoli or Davis, but they have interest in bringing back both. The most exciting thing about this team is that the majority of the roster is under team control for the foreseeable future. Brantley, Andrew Miller, Cody Allen, and Brandon Guyer are under control through 2018. Carrasco, Danny Salazar, and Jason Kipnis are under control through 2020 and the young superstar Francisco Lindor is under team control through 2021. This young team is built to contend for years to come. Baseball is a tough game to have repeated postseason success, but I believe the Indians will come back stronger from this season. The 2015 Kansas City Royals came back from a Game 7 loss in the 2014 World Series to win the whole thing the next season. This Tribe squad is built similar to that Royals team, which should give fans belief that the Indians can seal the deal next season. All season long the Indians gave Cleveland something to believe in and even though they fell short I have never been more excited for the future. This resilient bunch of ball players will be back on the grand stage soon and this time they will have some unfinished business.